Winter Patriot: Gatekeepers Bury Dancing Israeli Movers And Bogus Art Students On DN! Gatekeepers Bury Dancing Israeli Movers And Bogus Art Students On DN! We got a slithering slice of potentially explosive 9/11 truth from Democracy Now! on Thursday, when Amy Goodman and Juan Gonzales spoke with Christopher Ketcham, Marc Perelman and Alexander Cockburn about the "dancing Israelis of 9/11" and the mysterious Israeli "art students", as well as about Christopher's article "Cheering Movers and Art Student Spies: What Did Israel Know in Advance of the 9/11 Attacks?" which was published in Counterpunch after failing to find a home at either Saloon dot com or The Nation. They also talked about how and why these stories have been suppressed for so long. If that sounds like a lot of ground to cover, you're with me so far. Fifteen minutes. Ready set go. Welcome to a very double-edged view of the broadcast. On the one hand it's great to see this story getting some publicity, but on the other hand look what they've done to it! In airing a couple of stories that have been suppressed for years, they've managed somehow, in my opinion, to suppress the big story even further. In other words, the core material was excellent but the presentation was awful. Good stuff in a bad package. I always laugh when I pick up a bag of frozen veggies and I see the words "Remove Packaging". Right! As if I was gonna cook the plastic bag! In this case the packaging is a combination of tactics (or bad decisions) (or perhaps "good [i.e. safe] tactical decisions") including: trying to fit too many guests and too many topics into a short segment, discounting the most crucial evidence available, failing to ask the most obvious questions, and applying the most transparent spin. Examples of each are easy to find, and we may encounter some of each as we go along. But on the whole I am most interested in finding the nuggets of truth amid the spin. In this case (as in other similar cases) the most sensible way to proceed in my view is to pay strict attention to what these reporters say they have observed, and no attention at all to what they think these things mean. In some cases, their interpretation makes no sense at all, and the thought has crossed my mind that perhaps it's deliberate. Who Were "The Movers" And What Were They Doing? Three of these guys were seen on the morning of September 11, just after the first plane hit the North Tower, quote-unquote, “celebrating” on the New Jersey waterfront. Now, that's -- I put the quotes around that, because it comes from a FBI BOLO, or “be on lookout,” an alert that was put out regarding these men that day. The celebration apparently consisted of high-fiving, according to one FBI official, of holding up cigarette lighters, as if they’re at a rock concert. So, remember, the plane has just hit the tower, exploded in the tower, and these three men are behaving rather oddly. Later in the day, they were picked up. Two other men apparently joined them in a van. They were -- the case was immediately handed over to FBI counterintelligence. The men were held for 71 days. They were repeatedly interrogated. They repeatedly failed lie detector tests. And then, after those 71 days was up, they were sent home, apparently under pressure or because of pressure brought by the Israeli government and by certain players in the US government. Right. Well, what's interesting there is that, you recall after the first plane hit, no one really thought that this was a terrorist attack. I mean, most people thought -- and I was there, you know, on the Brooklyn waterfront watching this whole thing. Everyone thought it was an accident. These guys, when they were interrogated by FBI, told them that -- essentially said that they immediately knew it was a terrorist attack. And they actually told the FBI that the reason they were celebrating was because the attacks would be beneficial to Israel, that it was, quote, “a good thing for Israel” -- that's according to the FBI spokesman who spoke on the record about this -- and that it would bring sympathy for Israel's political agenda in the Middle East. I was able to confirm that, according to the FBI, two of those movers were identified as Mossad agents. And they were interrogated about it. They were sent home to Israel in, I think, November, if I remember, allegedly for immigration violations. Who Were The "Art Students" And What Were They Doing? These so-called art students were young Israeli men and women who were traveling the country. They were identified by the Drug Enforcement Agency as repeatedly attempting to penetrate government offices, including DEA offices, and to sell, to try to sell art, these cheap knockoff oil paintings, to government officials. Now, after September 11th, when, in the wake of these sudden attacks, investigators began to go back and look at the nexus of art student activity with the nexuses of the activities of the future hijackers, of the 9/11 hijackers, and what they found was that the art students, in many cases, were living in very close proximity to the September 11 hijackers. Many of these art students were moving large amounts of cash, some of them were reportedly, according to Le Monde, carrying cell phones provided them by an Israeli vice consul in the US. Many of them were highly trained in electronic intercept and intelligence work that was far beyond the compulsory military training required by Israeli law. Let's go to Alexander Cockburn. You have published this piece. It is titled "Cheering Movers and Art Student Spies: What Did Israel Know in Advance of the 9/11 Attacks?" Who were the Israelis living next to Mohammed Atta? What was in the van on the New Jersey shore? How did two hijackers land on watch lists weeks before 9/11? Who shut down FOX News’s Carl Cameron? We just have two minutes, but talk about  the way the media has covered this,  why you chose to cover it, and  that last story of FOX. Thus Amy Goodman gives Alexander Cockburn seven questions and two minutes to answer them. It's hardly an invitation to go into anything at any depth but it does give him his choice of question to answer and virtually no chance of being challenged in a follow-up. So in effect it gives him a chance to rant about the way the story's been neglected elsewhere and how wonderful Counterpunch is to run it at all, especially since the two other gatekeeper publications mentioned above won't touch it. Obviously, the circumstances around the interrogation, there was a lot of panic after 9/11. People were looking for suspects everywhere. So the reports about exactly how they were behaving and what they said -- I mean, we should be a little bit careful about this, because -- and so, what I tried to do is go beyond the reports about them smiling and high-fiving, and so on, because I had my doubts about this. I still have them, by the way. Nobody dared to speak up to counter this, but it seems transparent sham to me. Discounting the reports of the FBI because it was 9/11 and everybody was a bit excited is atrocious! Please!! These are trained professionals we're talking about, and they've been under stress once or twice before. After 9/11 they were alert and functioning 110%, for the most part. We're not talking about startled amateur eyewitnesses here. And how about the reason given here? I'm terribly sorry to say I don't find that reason even the slightest bit convincing. Please give me something better than "we should be a little bit careful about this, because -- and so..."
Why does nobody ask: If the movers weren't dancing and high-fiving, holding their lighters up and worshiping the smoking ruins, why were they arrested in the first place? Does it seem to you that they may have been shepherds of the hijackers, so to speak, handlers and caregivers at the same time, maneuvering them into place and making sure they got there safely and in plenty of time? Possibly even protecting them from the FBI long enough to let them do the deed, and celebrating when it was done? There's a whiff of that in the aroma of this operation, isn't there? Or am I the only one who smells it? My reporting was narrow, was about those movers and what were they doing. And the conclusion was that they were essentially spying on radical activists in the region, and that they had been let go, because the American authorities had determined that they did not have foreknowledge of the attacks, which is different than what [Ketcham's] article says, because it implies that they were essentially shipped to Israel because of the Israel lobby, and because they knew, whereas what I have been able to find out is that they were sent home because they did something they were not supposed to do and without the knowledge of the American government. Right. Sure. They were released because they had no foreknowledge but they were celebrating because why? Why were they the only people in New York who seemed to realize that the first impact was a terrorist attack and not an accident? Because they lacked foreknowledge? Sure, Marc. And a pat on the head for you from AIPAC, no doubt. from every place it appeared. As I understand it, this video -- no longer available in the FOX archives (or any other place where they have influence) comes from a blogger who snagged it as it went by. [...] ABC News, which dropped it. And, obviously, there are thousands of questions, which Ketcham goes into in great detail, which should be the subject of congressional hearings and investigations, such as, was the Mossad essentially being subcontracted by the CIA to work in the United States on spying, which would be illegal? Sure, Mr. Cockburn. Really. They were subcontracted by the CIA. That's beautiful. Sometimes friendly governments have agreements, where they can kind of like spy together. Apparently, this was a case where it was not happening. 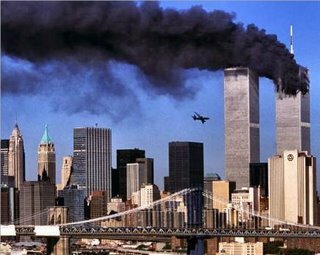 Now, the upshot of all this available evidence is this: the Israeli government likely was conducting some kind of spy operation on US soil in the run-up to the September 11th attacks. The purpose of the operation was to identify and track Muslim extremists, possibly including members of al-Qaeda. On second thought it strikes me that perhaps the whole exercise here was not to get any new or valuable information out via DN! but to create an infomercial for the Counterpunch newsletter. Christopher Ketcham's article certainly doesn't appear to be available online. If this was simply crass commercialism in the name of democracy then it wasn't the first time I've seen that. Who Were The "Movers"? Who Were The "Art Students"? Let's forget Israel for a moment. Seriously. I don't care. I don't like to classify people by race or religion or anything else really; I think as soon as you start making sweeping generalizations you're better off keeping your mouth shut. So forget what country these "movers" and "art students" came from. And forget any notion of motive or skill. If I and (apparently) most of my readers are right, and 9/11 was a black op -- what could have been the role of these movers? And who were the art students really? The movers were part of the cover; they ran interference to make sure the plot succeeded. They were dancing and cheering because their plot had worked! What could be clearer? Would they be dancing and high-fiving, would they be saying "this is good for our country", if they thought it would be bad for their country? How stupid do you think we are, anyway? The "art students" look like very highly trained foreign espionage agents. It appears they were either trying to plant bugs in US government offices, or bringing money to US office-holders, or financing the hijackers, or protecting the hijackers, or some or even all of the above. The cheap knock-off oil paintings were the props supporting their legend -- just something to get them in the door. Why would the "art students" live near the "hijackers"?. Were they trying to restrain them? If they were trying to track them and restrain them and prevent an attack, why wouldn't they be working with the FBI, rather than without the knowledge -- let alone consent -- of the US authorities? What could be plainer? What else could they be doing? Just suppose, for a moment, that they had been worried about a possible attack against the US, and that they had infiltrated the country surreptitiously in order to stop the attack. Why would they be trying to inflitrate government offices? If they represented a friendly nation, why would they doing whatever they were doing under the American radar unless the intent were sinister? As for the movers, if they were trying to prevent a possible terrorist attack against the US, why would they be dancing and high-fiving and holding their lighters in salute to the burning towers? What else could their activities possibly signify? And if they weren't celebrating why were they arrested? And there just happened to be a couple of bona-fide foreign intelligence agents in the group. How coincidental! Now tack on the geopolitical: Which countries' political agendas were advanced by the world's reaction to 9/11? Now tack on the espionage angle: Which countries' intelligence agencies are sophisticated enough and slick enough to run an op like this, and almost get away clean? Now tack on more geopolitical: Which foreign countries have enough clout to have their intelligence agents sprung quietly and spirited away? How many foreign countries fits this complex description? In other words, how plausible is this story? Do We See A Pattern Emerging? So-called reputable journalists lay out dots but claim they're connected in ways other than they really are. Bloggers come along and rearrange the connections. Is this the only way journalism can continue in this country? Not only this country, but in the entire world? Are Alexander Cockburn and Christopher Ketcham and Marc Perelman all quaking in their boots lest they say too much and wind up like Anna Politkovskaya? Recently award winning journalist Peter Lance did something quite similar, with his book Triple Cross. He starts out with all sorts of indications that al-Q'aeda is an instrument of NATO intelligence, if it exists at all, and winds up making it all Patrick Fitzgerald's fault! Respected researchers such as Peter Dale Scott now quote Triple Cross but without mentioning the aspects of it which if not obviously wrong are at least open to a vastly different interpretation than the twist Lance gives them. But hey! At least he got it published. He got those dots in the public record. And now courtesy of Democracy Now! we have more of the same: Amy Goodman, Alexander Cockburn, Marc Perelman and Christopher Ketchum have all laid pieces of the puzzle in plain sight, and I thank them for that. But somehow I can't shake the feeling that they have interpreted their material in a very bizarre fashion. But hey! At least they got it published. Such is power in American journalism at the moment, friends. It's not as bad as it was in USSR during the Stalinist era, but we keep getting closer. Tom Toles: I Guess You Showed Everybody! Stop Cheney's Nuclear Sneak Attack On Iran! Tom Toles: Will They Walk? Tom Toles: A Bipartisan Cleanup Committee? MSM Complicity In 9/11? Are These People Crazy? Tom Toles: Don't Bet On It! Tom Toles: That's The Defense?